The capital of Spain is a little bit different comparing to other south European cities. It´s altitude is above standard and that makes sure two things; cold winters and very hot summers. The spring and autumn is in between but not so much. Madrid as a rooftop pool city is good. Remember that Madrid is an old city with a long history with old buildings which makes the scenery and view from the rooftop pools very beautiful and photogenic. The city is full of tapas joints and the nightlife is excellent. After a joyful night you need to take your strength back and the best way to do that is at a Madrid rooftop pool. 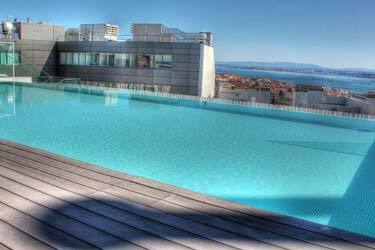 Here’s our list of the best rooftop pools Madrid! Enjoy! 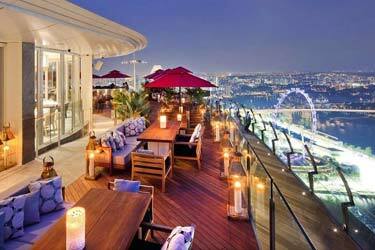 Also check out the best Madrid rooftop bars here. 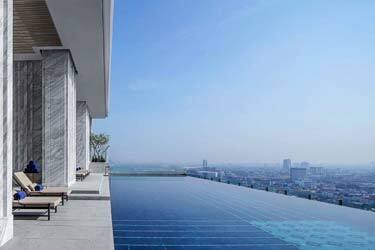 This rooftop pool is situated at Plaza Zerelo, at the top of the Room Mate Oscar Hotel. 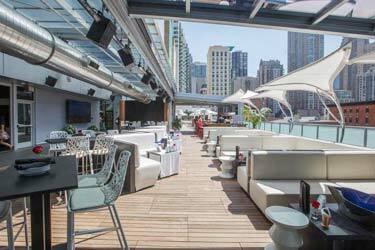 Since this is literary downtown you could think that it is a busy rooftop pool? Yes, it is. Since you have almost sun all day and you have a wonderful view of the surrounding of Madrid, it is worth 40 € for a full-day entrance. Including in that price is a towel, tequila and a glass of cava. This rooftop pool in Madrid is a perfect start of some joyful days in this vibrant and real Spanish city. Location is the word here! 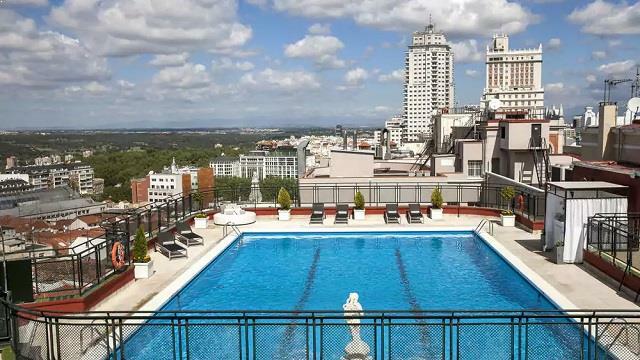 You cannot find a rooftop pool in Madrid with more central location then the one at the Hotel Emperador. Just a quick walk from Puerta Del Sol and you will find yourself cooling of at this rooftop pool. 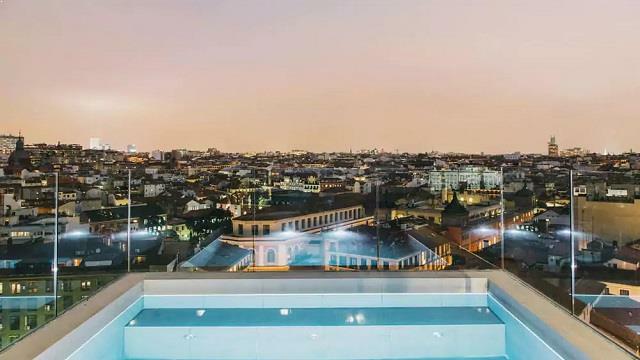 With the surrounding downtown Madrid as a background this rooftop pool visit is a perfect spot for relaxing and feel the city at the same time. 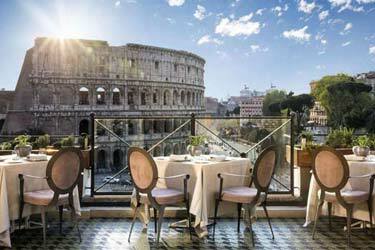 Up on the 10th floor you´ll find the pearl among rooftop pools. Maybe we forgot to tell you about the view? 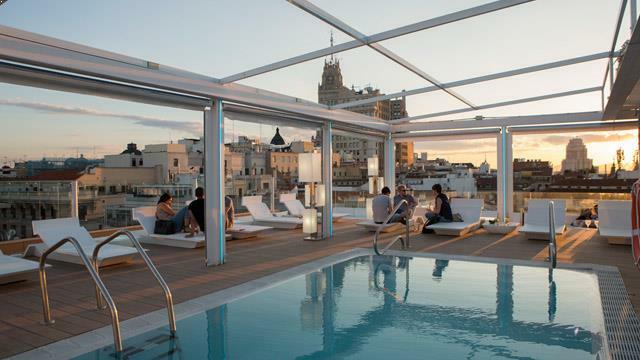 Well, it is stunning and you will not regret your stay at this rooftop pool in Madrid. Trust us! Dear lord what a view! Wow! This rooftop pool in Madrid maybe has the most spectacular view of them all. 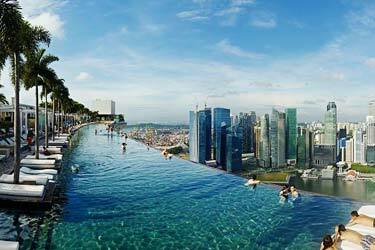 You can catch the city with a 360-degree view and at the same time take a dip in the rooftop pool. 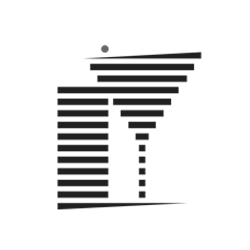 The location of this hotel is downtown and close to Plaza Espana. 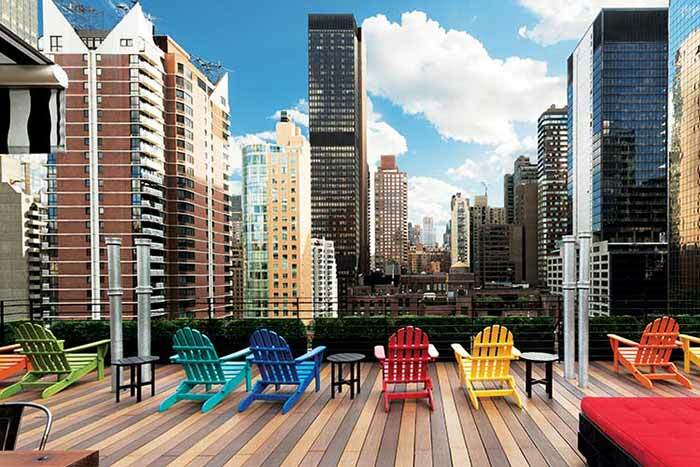 A very popular rooftop pool and catching the sun up and maybe having a lunch is something that definitely must up on to-do-list. 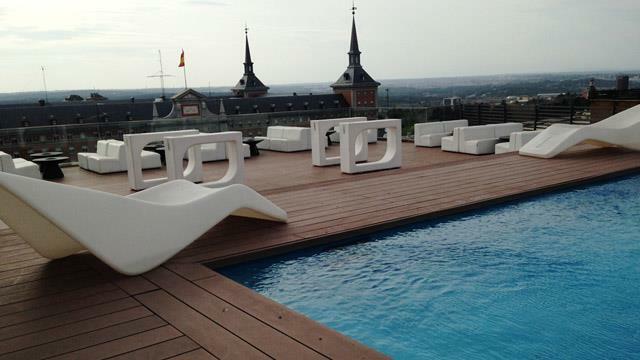 You will not miss this rooftop pool in Madrid! This rooftop pool in Madrid is a really hot spot and there a lot of pool party’s up here. 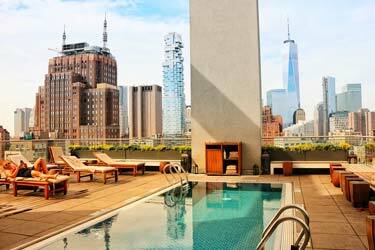 The location is a little bit north of downtown but still this is a very popular rooftop pool. Once again you can find a stunning view over Madrid and its surrounding areas, especially when the sunset arrives. 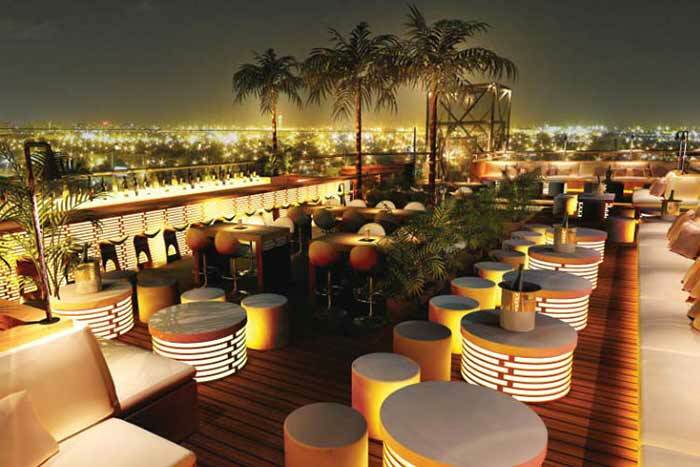 The rooftop pool area invites you to zip a good drink, listen to a nice DJ and cool yourself of. When you are in the capital in the kingdom of Spain, visiting a rooftop pool is mandatory.